All the features and tools you and your sales force need to take excellent care of your customers. Keep all customer data centralized, organized and structured. Make it accessible from anywhere in your organization directly in your browser whenever you need it. 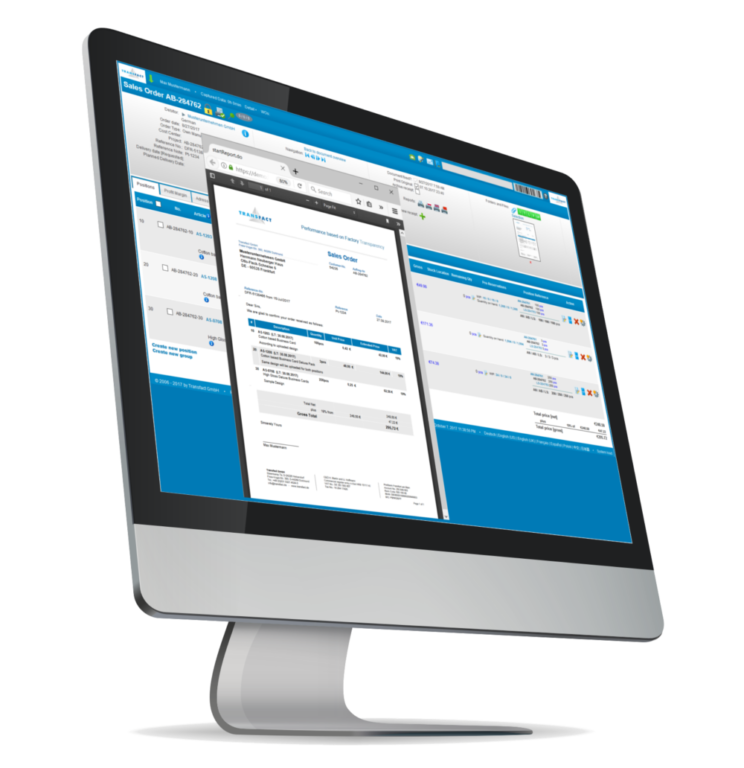 The Transfact CRM Module allows sales employees to track, search and clearly display all linked offers, orders, deliveries, invoices and even the link to production and stock. 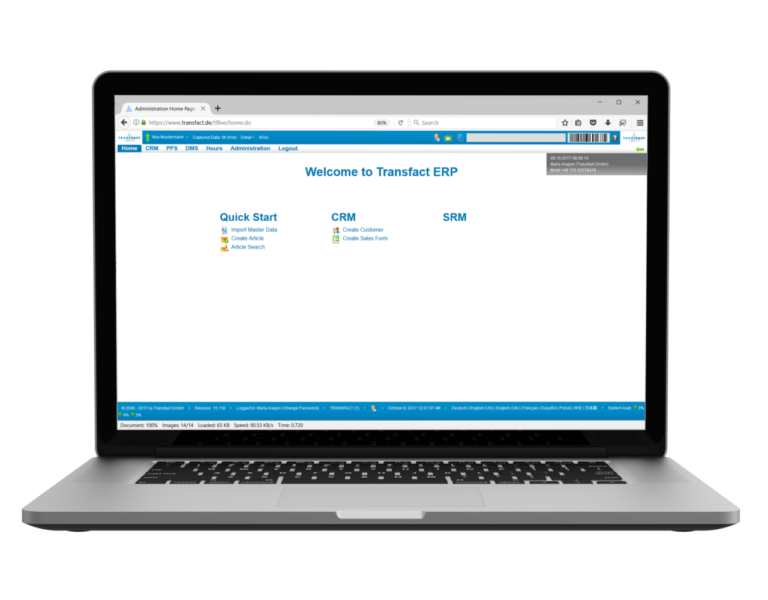 Customer data is one of your most valuable resources to boost sales, the Transfact CRM Module helps you keep it all in one place, organized, accessible and structured in the exact way your organization needs it. 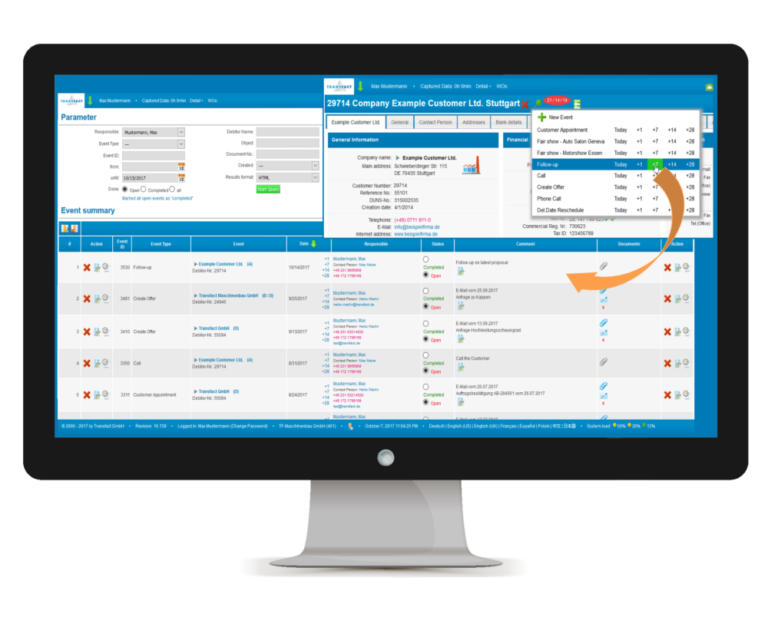 Make the management and maintenance of your customer data clear and easy with the Transfact CRM. Offers, orders, deliveries and invoices are automatically tracked and linked by the System. 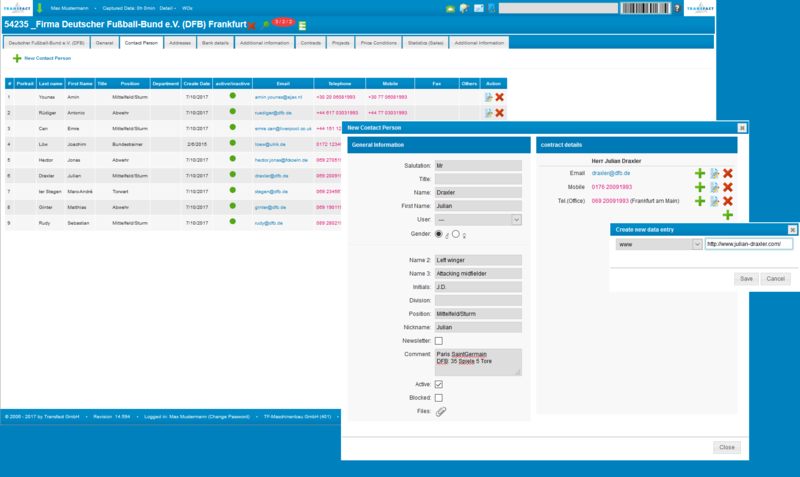 The Transfact CRM provides a very user-friendly overview of all linked data to any customer or order number. 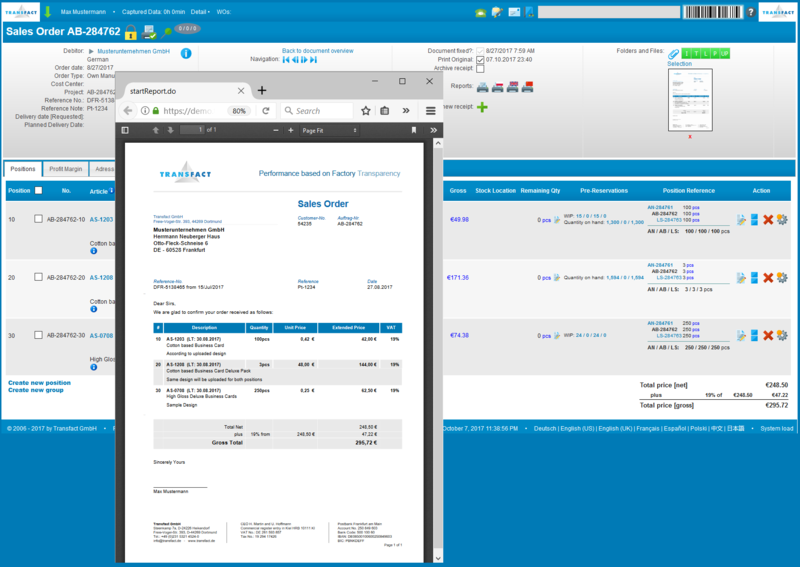 Send e-mails directly out of the system and attached automatically generated pdfs for offers, orders or invoices. 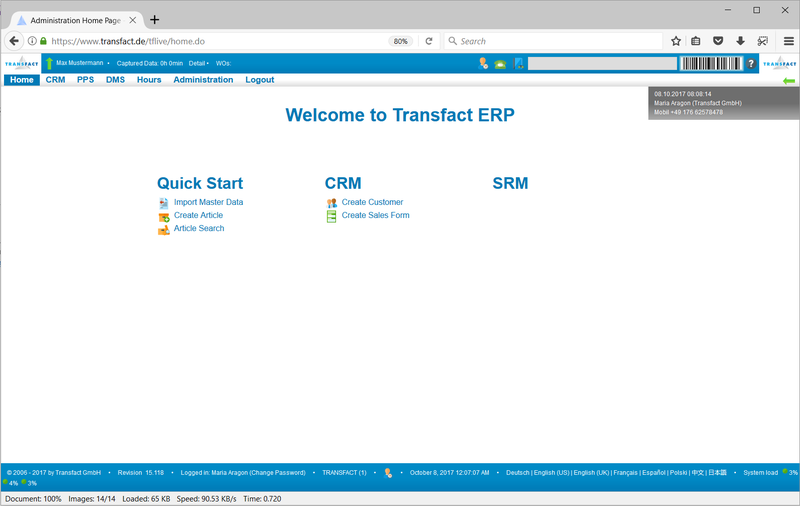 Or easily attach received documents to a specific record in the system, this way, the Transfact CRM helps you keep all sent and received files clearly classified. All your customer data in one place, accessible to your sales force through their browsers. Additional data structures can be configured to match the customer data that your organization needs. Individual contacts are easy to maintain and clearly displayed. 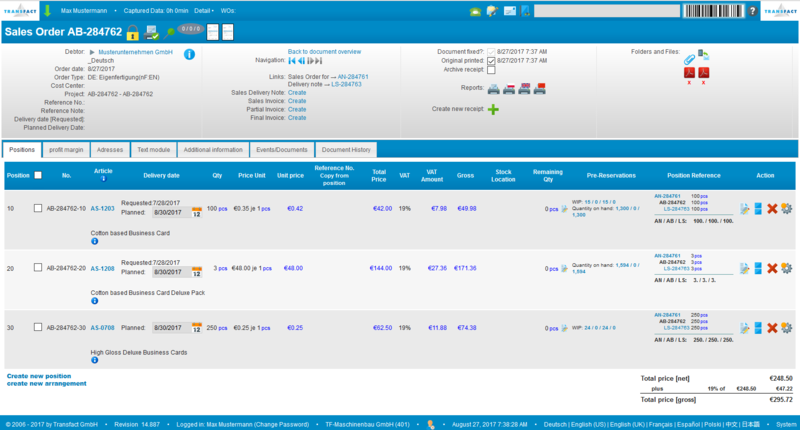 The Customer Data you need on a daily basis, organized and clearly visible in one screen. 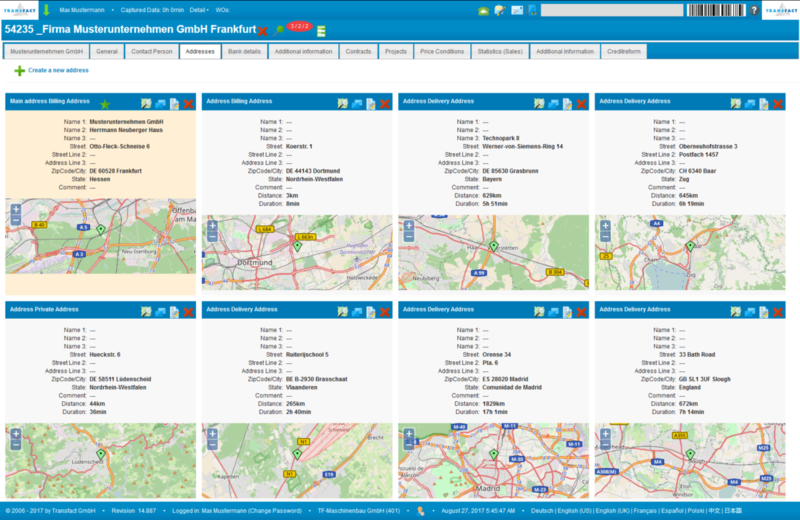 Classify, search and find all your customer data based on their industry branch, region, country or any other criteria that is relevant for your company, all fully configurable. All customer data is editable directly on your browser, with clear and easy to use functions. 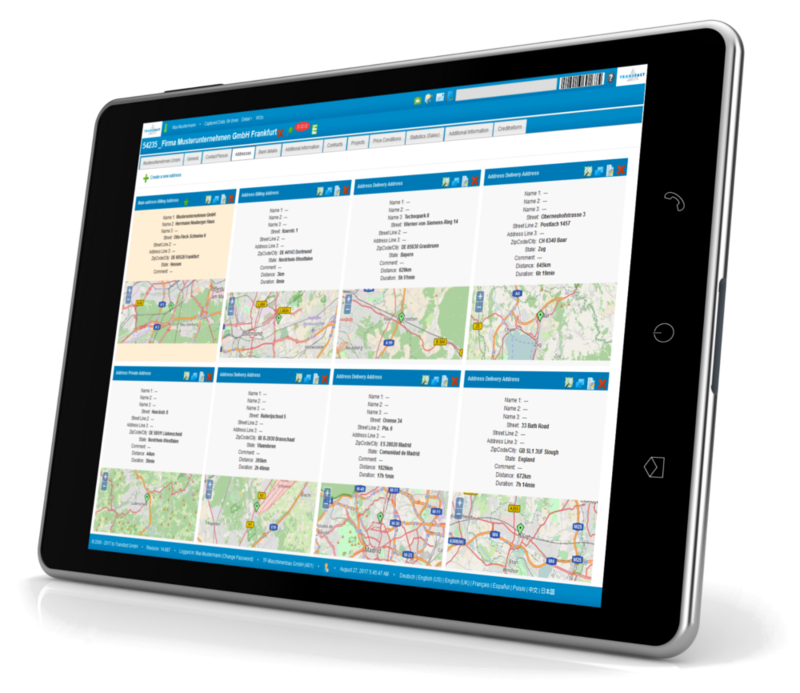 Integrated street maps graphically display the address locations of your customers or sales representatives. A system that really helps and supports your sales process. 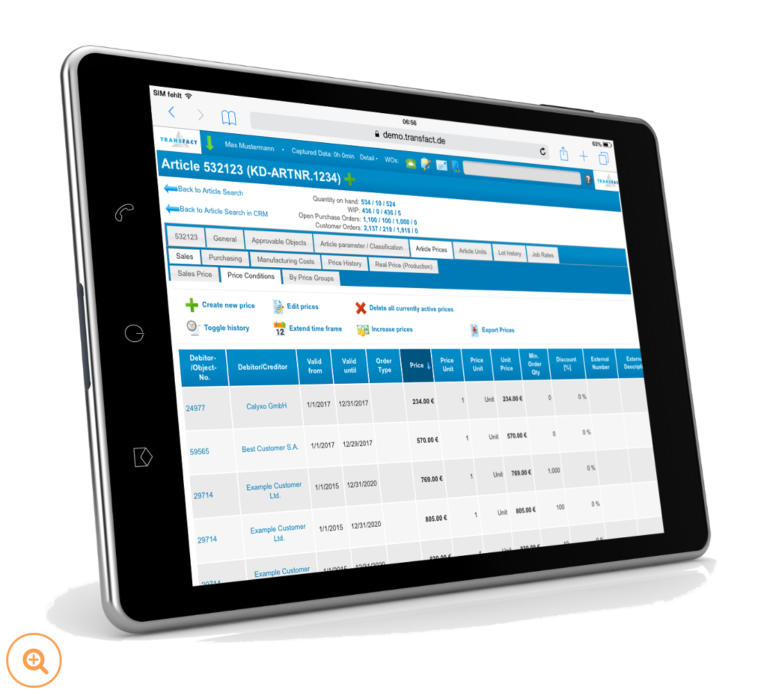 From offer, to order, to delivery, to invoice, create each of these documents with one click and have them all linked together, easy to find and with all relevant information. Deviations, cancellations, returns, splits and all special circumstances that your business lives on a day-to-day basis, can all be registered and tracked in the system. 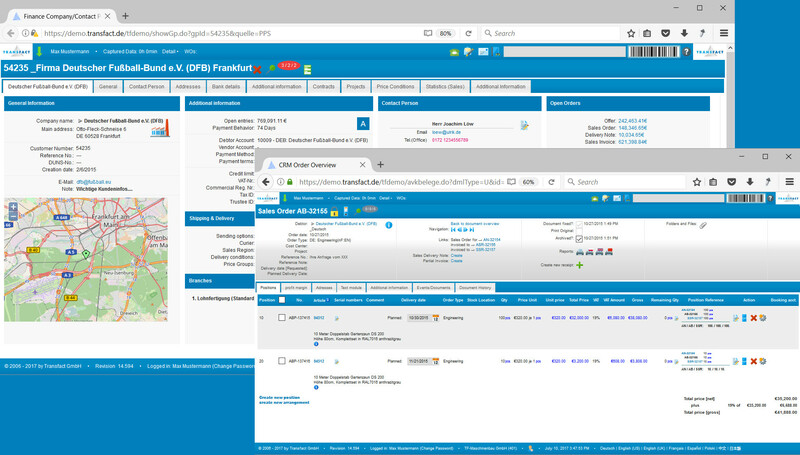 Full transparency in the ordering process provides you and your employees with the correct information to make better decisions for your organization. 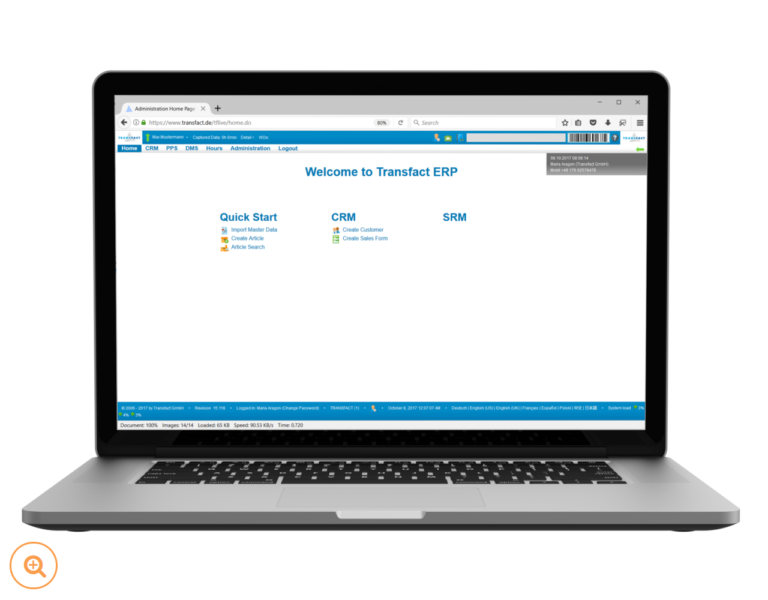 The Transfact CRM Module is designed to support your processes making them more simple and easy to follow. Just select from the available options for the following steps and with only a few clicks you can advance to the next stage. Let the system complete the rest of the data, so you can concentrate on the sale and not on the paperwork. We know the sales process is not always the same and sometimes exceptions and special situations arise. Therefore we’ve developed several features that allow you to deviate from the standard process and still keep track of what’s happening with each order: split orders, partial deliveries, returns, partial invoices and such, are all easily created and automatically linked, so you can follow up and complete all cycles. 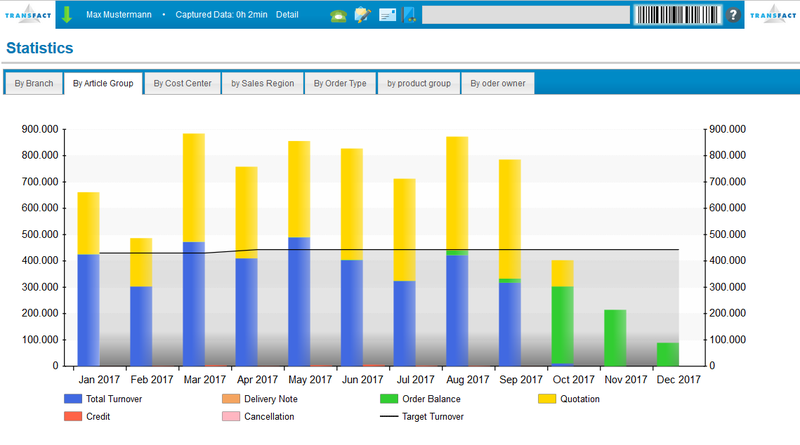 Because the Transfact CRM System has all your sales data available, it automatically generates your sales statistics and displays them graphically to provide you with useful analysis information. 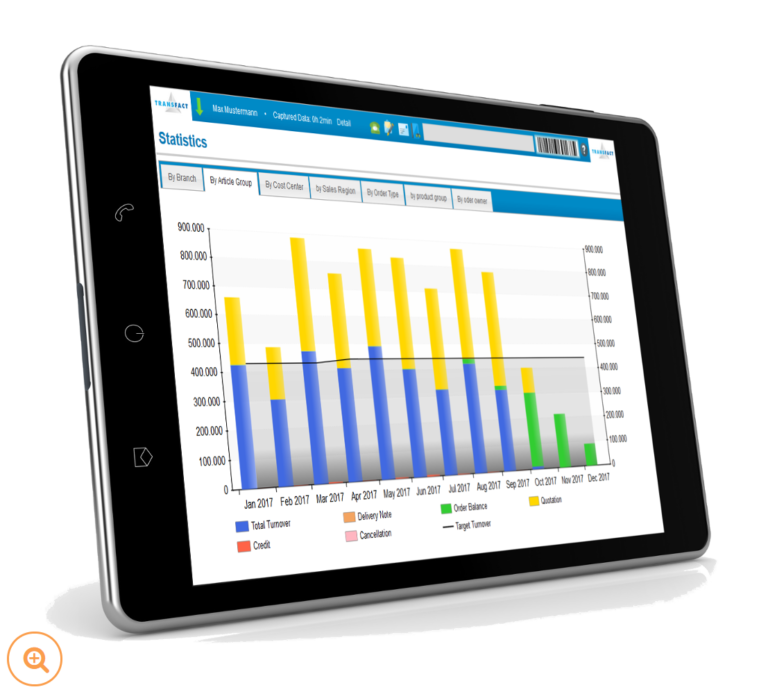 Sales data can be graphically displayed classified by industry branch, article groups, regions, customers, etc. With the Transfact CRM Module you can create events to follow up on leads, requests, e-mails, conventions, fairs, calls or anything you’d like, all fully configurable. Events can be directly linked to any customer or lead, as well as a particular document if you’d like to follow up on a specific offer, order or delivery. You can add a deadline to certain events, so that the system can help you keep a schedule. Complement events attaching all relevant documents, adding specific instructions or assign events to others in your team. Automatically generate pdf documents for your sales workflow, with your own design and logo. PDFs are automatically saved in the Transfact Data Base, and they are fully searchable, so that they can be accessible and easy to find for your employees at any time, from anywhere. Upload your own documents directly to the system, so you have all the information you need organized in one place. Send, receive and automatically link E-Mails directly in the system, including any attached documents. Important phone calls? Keep track of them too! 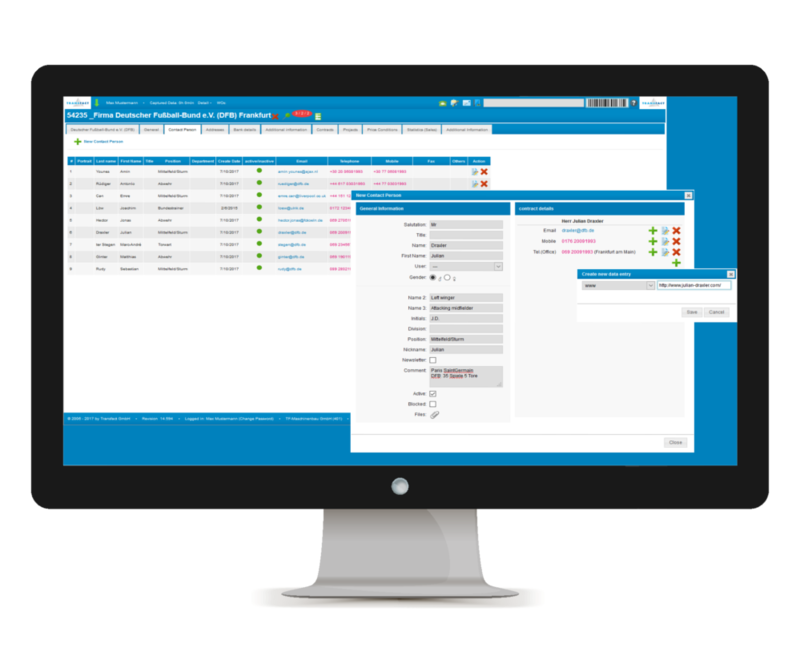 With the Transfact CRM module your sales representatives can automatically keep track of their phone calls in the system. 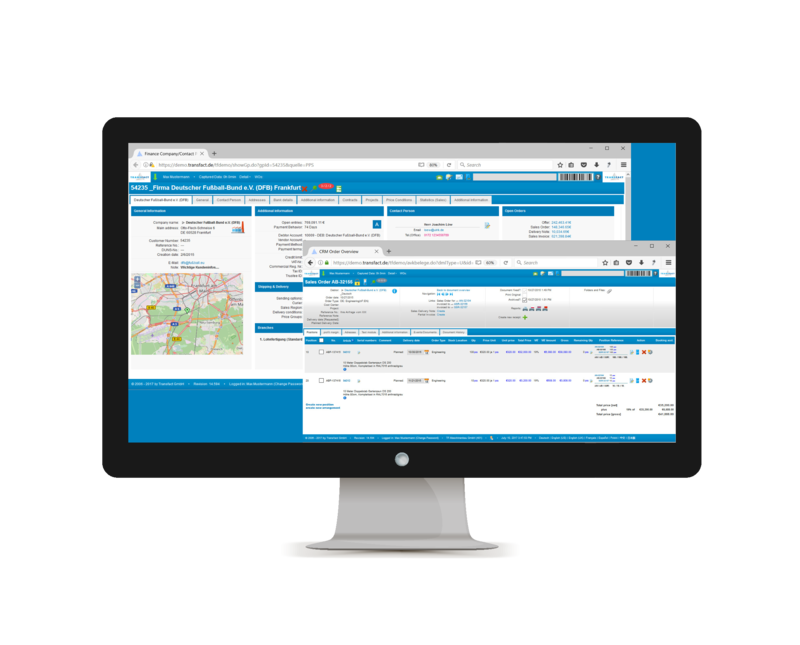 The Transfact Phone Interface synchronises the contact information from the system with your phone network, allowing you to link any call to the corresponding customer or contact. Incoming calls are displayed in the system, so that your team doesn’t miss that important call. Number, name and time of the calls are kept and displayed, so you can add notes and comments to it for future reference. 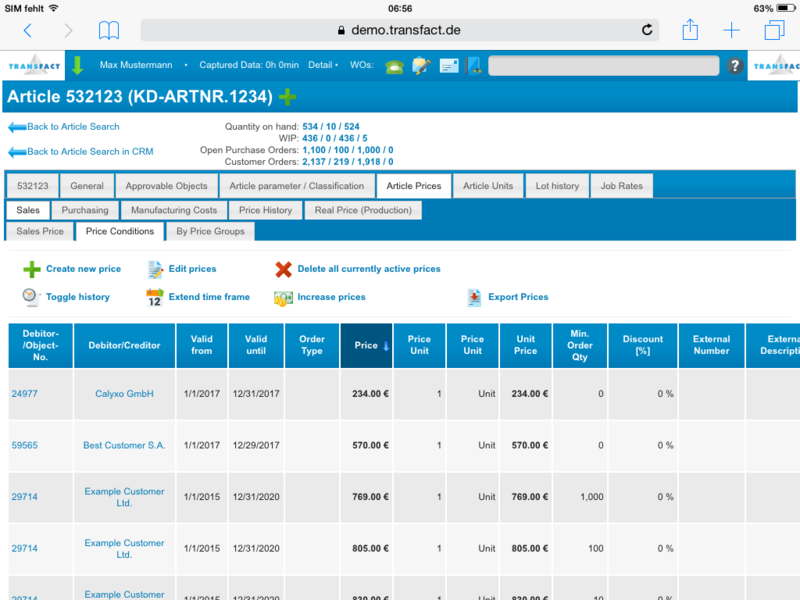 Price conditions in the Transfact System can be individually set by quantity, order type, customer, price group, for complete product groups or for individual articles. You choose the level of detail that is right for your business. Manage all price conditions and keep the price history in one clear overview that is easy to maintain. 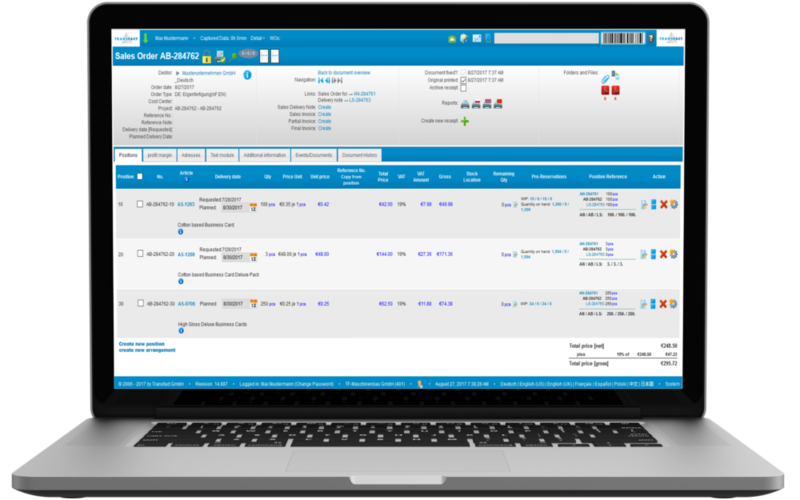 Price conditions are automatically integrated in the offer and order generation process, so your employees have them all at hand without having to search for them on complex tables.